I recently reviewed the awesome Georgetown academy series and the most recent one has been my favorite so Coliloquy is giving you guys a chance to win a copy! Good luck! And check out my reviews of all three books so far! Review: I love historical novels so when I heard that Strands of Bronze and Gold was both a historical novel and a retelling I knew I had to read it! I had never read the story of Bluebeard before reading this book so when I started reading it all I knew was that Bernard was creepy as all get out. I could see how Sophia could find him alluring but I was screaming at her to get away from the first couple chapters. I think the pre-civil war setting really fit the story. It made Bernard's actions not seem so erratic and more normal for that time. I also adored all the detail that was in the descriptions of the abbey and the grounds. It made me feel as if I was there, which honestly was not always a good thing. 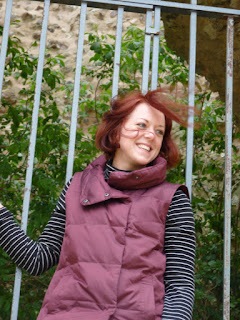 In the beginning I found Sophia to be very vain and silly, but as the novel progressed I came to understand her better and even to admire her for what she had to go through. I also really liked how she felt the needs of others even before her own. I think that showed a lot of growth and courage to do what she did. I am happy with how the story ended though I am unsure how there would be more books. I will definitely be picking them up though! 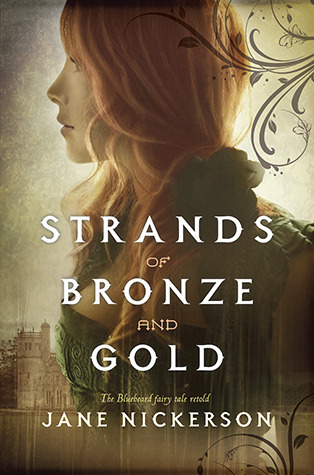 Strands of Bronze and Gold is a must read for fans of the classic Bluebeard story and those who like a little creepy with their historical novels. Summary: Being a 16-year-old safecracker and active-duty daughter of international spies has its moments, good and bad. Pros: Seeing the world one crime-solving adventure at a time. Having parents with super cool jobs. Cons: Never staying in one place long enough to have friends or a boyfriend. But for Maggie Silver, the biggest perk of all has been avoiding high school and the accompanying cliques, bad lunches, and frustratingly simple locker combinations. Review: I am basically convinced that Robin Benway can do no wrong. I liked both Audrey, Wait! and The Extraordinary Secrets of April, May, and June but I have to say that Also Known As is my favorite book by her so far. If you are a fan of Ally Carter's books then this book is for you! With spies and cute boys what can go wrong? I have to say one of my favorite parts of this book was the secondary characters. Roux and Jesse added so much to the narrative and were so well developed that I missed them when they were absent from the story. I really liked how much Maggie's parents were present. In most YA novels the parents are absent and I liked the added dynamic of not just having one hovering parent but two. I kind of figured out the twist/villain of the novel but I kept changing my mind about who it was so kudos to Robin Benway for keeping both Maggie and me on our toes. Basically if you like mystery, spies, awesome friends, hilarity, and cute boys then this book is for you. Summary: The frosty chill that’s settled over Georgetown Academy isn’t just from the winter weather—growing up in the D.C. fishbowl isn’t for everyone, but a break from the Beltway might just restore some sanity. Review: This was my favorite Georgetown Academy book! It had the exact same style as the first tow with the story and then an interactive part where you follow one girl's story. But the story for this installment was really good! By the third book the characters have really come to life and I feel like they blossomed in this third book. They were standing up for themselves and making slightly better choices not only for them but about their friends. I also liked the introduction of some new characters into the fray because it added to the story. The new setting was also a nice change of pace. Yes there was still all that DC politics drama but in a much prettier setting. I think all of the characters (with the exception of one new one) grew a lot in this book. Especially Brinley, I know it is lame to say of a fictional character but I am really proud of how much she grew over the last three books, she went from being my least favorite character to being one of my favorites. It was a worthy addition to the series. If you haven't read the first book check out my review here. Today I have with me one of my favorite authors Victoria Schwab author of The Near Witch and The Archived! If you could spend a whole day with Neil Gaiman or a whole year around narwhals which would you choose? --A day with Neil Gaiman. We'd take tea and talk books and stroll through the woods musing on the seams in the world and it would be as magical as a lifetime of narwhals. Also probably less dangerous, since their horns are very, very sharp. If you could be best friends with someone from The Archived who would it be? 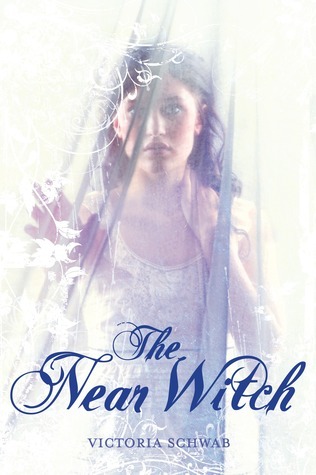 Which one of the characters from The Archived would fit in the most in the world of The Near Witch and vice-versa? --Ooooh. That's a hard one. I can see Dreska working for the Archive, but I'm not sure how any of my Archive characters would fare in Near. Roland, maybe. There's something very old-world about him. Where did you get the idea for the Coronado? --I love settings. I always want them to behave like characters. I knew that while I was dealing with a very big world (the Archive, the Narrows, the Outer) I wanted to create the same island-like sensation from Near, so I created the hotel. 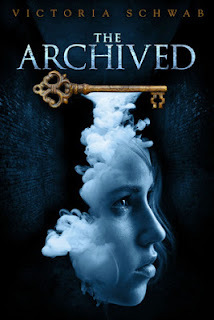 And because I'm me, I wanted it to be old and creepy and full of secrets. There are lots of wacky characters in The Archived, was it fun coming up with them? And which non-main character was your favorite to write? --YES. I love coming up with secondary characters, far more than main characters (I think it's very hard to REALLY get to know your main character). As far as favorites, it's a tie between Roland the Librarian, Nix the blind man up on the seventh floor, and Ms. Angelli, the hoarder. Will we find out more about the various layers of the world (such as the narrows, the outer, and the library) in The Archived #2? --Yes. You'll learn more about what makes the Archive tick, and that the system is neither as simple nor as stable as Mackenzie once believed. Make sure to check out Victoria's amazing books because you will love them!